At The Tower Companies, we are committed to making a difference through our business and community. This commitment began when Albert Abramson founded the company in 1947 and continues today as his sons Gary, Ronald, and Jeffrey Abramson actively manage Tower. The pride that comes from a legacy of generations shows in the quality of our buildings and the attention to detail paid to every aspect of our operations. Our dedication to the DC area allows the family to be directly involved, creating dependable, long-term relationships and lasting community impact. Albert “Sonny” Abramson enhanced the face of real estate development in the National Capital region and ardently served his community and his nation. In 1947, following an honorable discharge as Captain in the United States Army Air Corps, Albert began his career in the development industry with a $500 investment. Throughout that career, he was personally responsible for the development of thousands of Washington area apartment homes, office buildings, and shopping centers — among them The Tower Building and White Flint in Montgomery County, MD, and Washington Square in Washington, DC. In 2012, Albert was posthumously awarded the Lifetime Achievement Award from Urban Land Institute Washington. This award recognizes leaders in the DC area real estate community who, in addition to a lifetime commitment to real estate, have given back to the community through demonstrated civic, charitable, and philanthropic endeavors. View the videos on this page to learn more about Albert’s legacy of service and philanthropy from his colleagues and family. Albert and Ruth Abramson passed on their commitment to philanthropy and passion for the Washington, DC, community to their sons. Along with their families, Gary, Ronald, and Jeffrey continue this legacy by operating their business as their philanthropy and passionately supporting the following organizations. Washington, DC’s American University is consistently listed as one of the nation’s top universities. Gary Abramson (Class of 1968) serves on the Board of Trustees and is Chairman Emeritus. The United States Holocaust Memorial Museum is a living memorial to the Holocaust and inspires visitors to confront hatred, prevent genocide, and promote human dignity. Albert Abramson served as Chairman of the Building Committee and Chairman of the Museum Development Committee. The Abramson family provided the land for the Washington, DC, campus of New York University. Ronald Abramson also serves on NYU’s Board of Trustees. Ronald Abramson serves on the Board of Trustees of DC-CAP, a nonprofit that provides counseling and financial assistance to DC public high school students who might not otherwise have the opportunity to attend or graduate from college. The David Lynch Foundation ensures that every child who wants to learn to meditate can do so and actively teaches Transcendental Meditation to adults and children everywhere. Jeffrey Abramson is a co-founder of the Foundation. 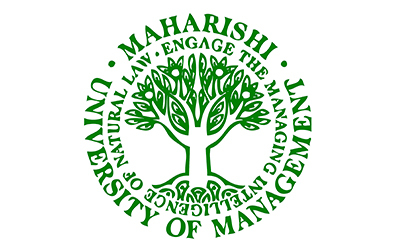 Maharishi University of Management in Fairfield, IA, is a consciousness-based university where all students practice Transcendental Meditation and study traditional academic programs. Jeffrey Abramson serves as Chairman of the Board of Trustees. The Weizmann Institute of Science in Israel is one of the world’s foremost centers of multidisciplinary research in the world, addressing the most urgent challenges facing humanity. Pennie Abramson currently sits on the Executive Committee and previously served as President of the American Committee of the Weizmann Institute.